Audi R8 racecar concept vector wallpaper. The Audi R8 is a 2-seater, mid-engine sports car developed by Audi. 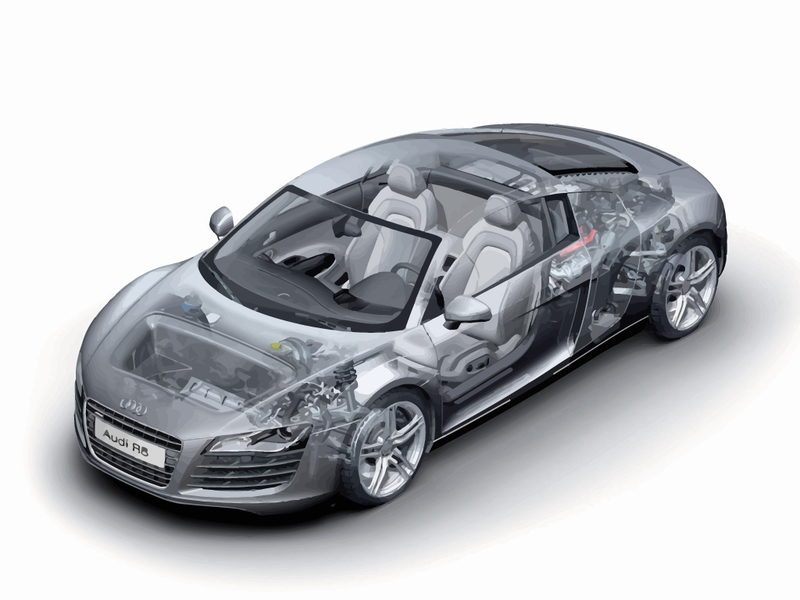 Like most of Audi's cars the R8 is also equipped with the quattro all-wheel drive system. Visit our wallpaper gallery for more free auto wallpapers. Original wallpapers are © of respective artists.